The third installment of the popular gun shooting series that sees players defy the undead with shotgun in hand as they explore a post-apocalyptic wasteland of terrifying zombies and other creatures. 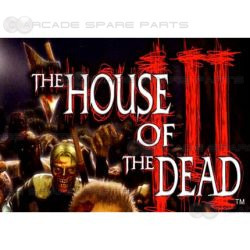 The game is chronologically set after the first game, rather than a continuation of House of the Dead II, so players who are not familiar with the series can still enjoy the game. House of the Dead III blends comic-style graphics with realistic horror, and features a time-sensitive gameplay and a wide variety of branching paths. Players can take out wave after wave of horrific zombies as they travel different routes and advance the storyline, uncovering new secrets and hidden areas along the way. When the player goes further into the game, there is a point where they must change character. 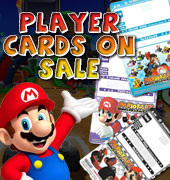 By changing character and using this Multi Player System the player can enjoy more depth of play. Each time the player finishes the game, the ending sequence will start. But each ending is different depending on what the player has been doing. This Multi Variety Ending feature will ensure that players come back time and time again. The game also has variable violence levels to suit different locations.